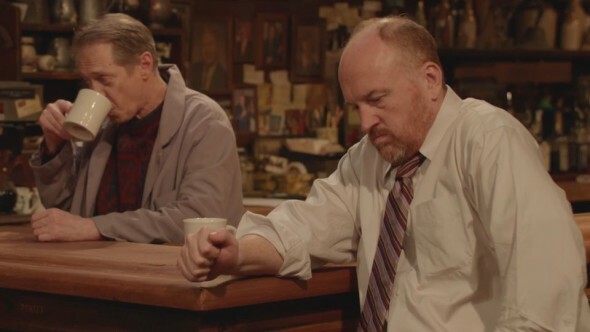 Things are getting dramatic for Horace and Pete. Louis CK is submitting his web series for the Emmy’s drama category, says The Hollywood Reporter. CK launched the multicam series on his website in January. A ninth episode was released on March 26th. Written and directed by CK, Horace and Pete follows two brothers (CK and Steve Buscemi) who run a 100-year-old bar in Brooklyn. The series also stars Edie Falco, Steven Wright, Alan Alda, and Jessica Lange. Not only will Horace and Pete be competing in the best drama race, CK will also be submitting himself, Buscemi, and the series’ other actors in the Emmy’s acting categories. What do you think? Have you seen Horace and Pete? Do you think it could win Best Drama?